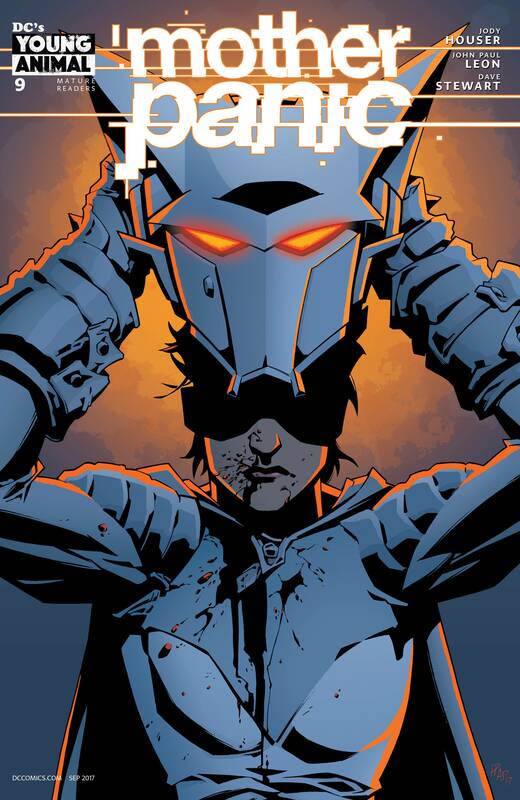 As Mother Panic zeroes in on Remains, Violet's augmentations continue to lock up, making her unbelievably vulnerable. Will she be able to defeat her mysterious nemesis in time, or will Dr. Varma's warnings and predictions finally be actualized? Also includes the next installment of 'Gotham Radio' by Jim Krueger (JUSTICE) and Phil Hester (GREEN ARROW)!